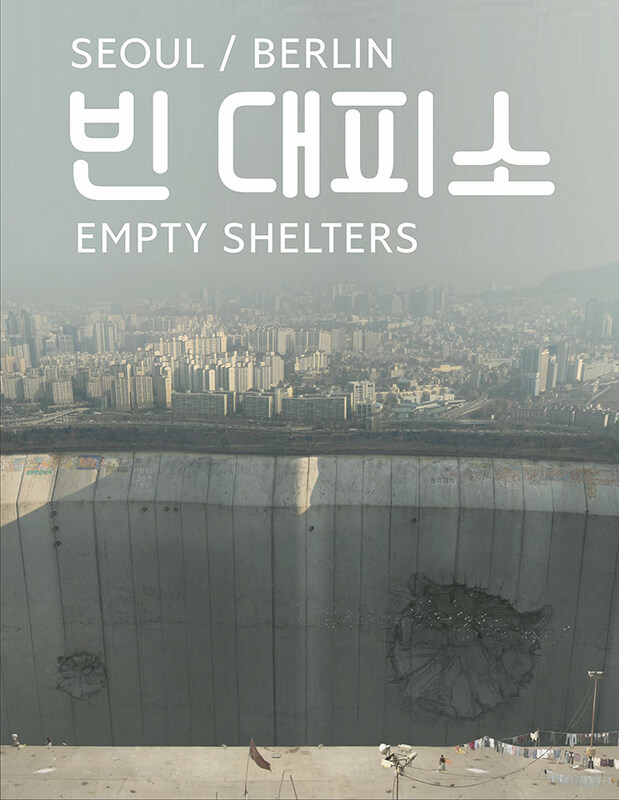 “Empty Shelters” is a visual tale based on warning signs in Seoul. These warning signs point the inhabitants to run for shelter in the subway stations if war with North Korea breaks out. This makes Seoul’s underground subway network is the largest bunker in the world. 8 Million People can take cover in it. The story is similar to the division of Germany, with the difference that the reunion of both Koreas never happened. 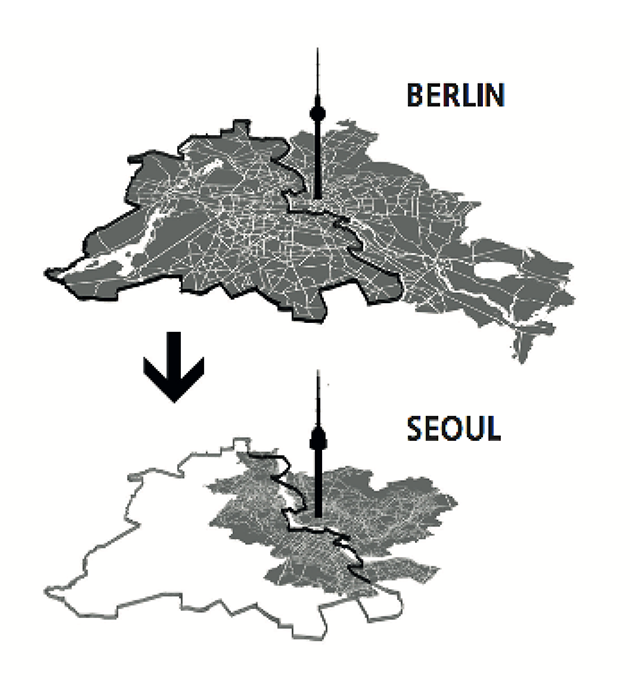 Seoul shows how Berlin would look like without 9. November 1989. SA-PO artists Sven Sauer and Igor Posavec combine the no-mans-land areas of Berlin and Seoul and create a dystopian protective wall, a wall that could have become reality in times of cold and proxy wars. 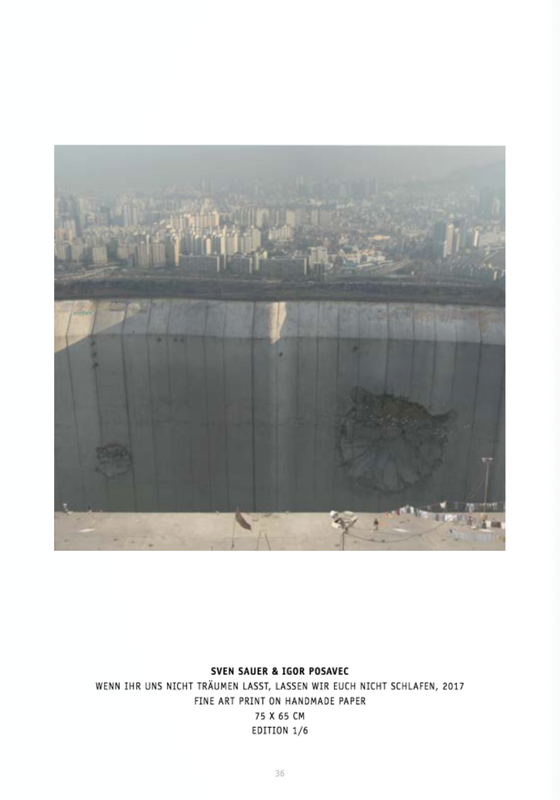 The inhabitants live their whole life in a huge bunker, surrounded by warning signs they ignore. SA-PO’s visual works focus on and point to the repetition-effect: the warnings become usual. 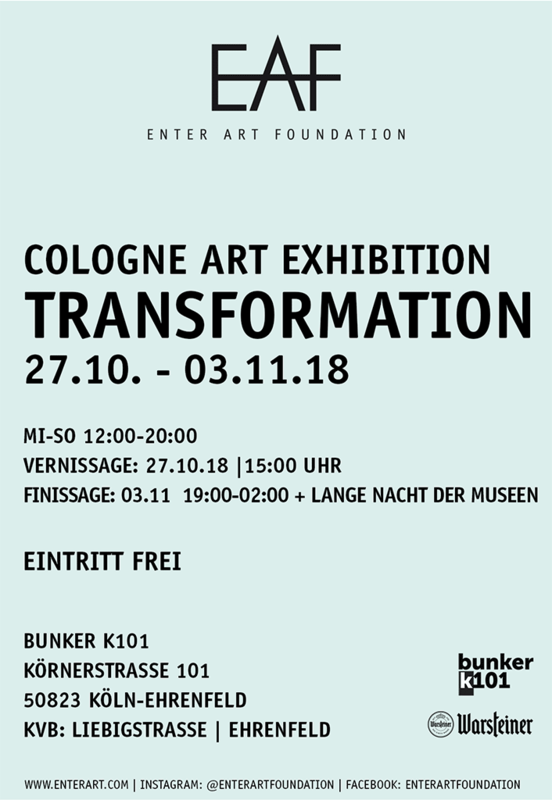 SA-PO is the art collective of Sven Sauer and Igor Posavec. Since 2012, the two artists have been focusing on the connection between social movements and local structures within mega-cities (such as Tokyo, Shanghai, New York, and Seoul) as being a representation for our modern world. 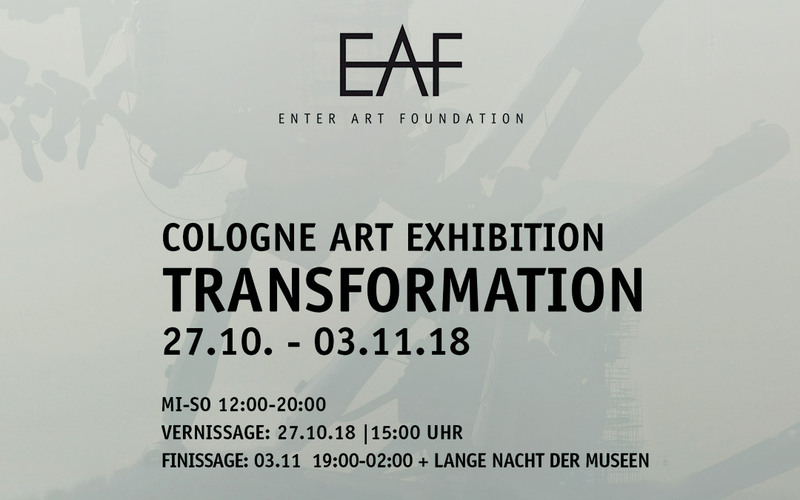 Their works expose symptoms of a society and show the tempo of our growth-oriented technology, which seems to have extravagated the human capacity to absorb. The result is an exhilarating rationalist romanticism for a civilization, that is obsessed with being addicted to reality. While challenging the viewer´s perception of art, the detailed paintings aim to visualize the human quest for identity and intimacy amid the global brand epidemic.